My Grandfather and better known as Perby Bennett. I am named after his uncle and my great uncle Dr Kelly Bennett. 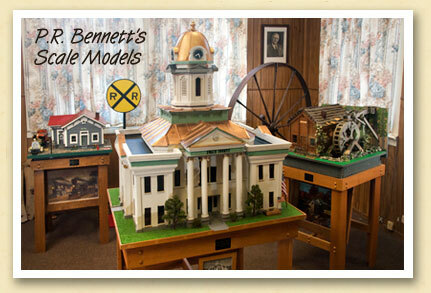 I think it was channel 13 out of asheville did a story on Perby and his models in the late 80’s or early 90’s. The reporter came into his house and talked about each model. If anyone has it or knows where to find the link I would very much appreciate. Most of his items like that were donated so they could be put on display because of his role in Bryson city. Thanks for any help.